The Puranas repeatedly tell the tale of Sati's marriage to Shiva against her father Daksha's wishes and her subsequent self-immolation at Daksha's sacrifice, leaving Shiva grief-stricken and having lost interest in worldly affairs. In the Brahma Vaivarta Purana, Sati, as well as Parvati, are considered manifestations of Mahadevi, the great Goddess. In the Ramayana, the river goddess Ganga is depicted as the elder sister of Parvati. Kalidasa's epic Kumarasambhavam ("Birth of Kumara") details with matchlessly lyrical beauty the story of the maiden Parvati: her devotions aimed at gaining the favor of Shiva, the subsequent annihilation of Kamadeva, the consequent fall of the universe into barren lifelessness, the subsequent marriage of Parvati and Shiva, the immaculate birth of Kumara, and the eventual resurrection of Kamadevaafter Parvati intercedes for him to Shiva.Parvati is depicted as interested in Shiva's tales and appearance from her very birth and eventually remembering her previous life as Sati. As Parvati grows into a young woman, she begins tapas (austerities) to please Shiva to grant her wish to reunite with him. She is portrayed as surpassing all other ascetics in austerity, undergoing severe mortifications and fasting. Finally, Shiva tests her devotion by sending an attendant (or appearing himself in disguise) to criticize Shiva. Untouched by the act, Parvati retains her desire for Shiva, compelling him to marry her. After the marriage, Parvati moves to Mount Kailash, the residence of Shiva. 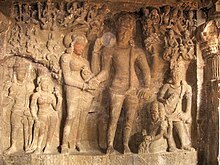 The depiction of Parvati’s marriage to Shiva, in the Shiva Purana, could be seen as an allegory illustrating the desire of an individual to achieve a state of liberation from a life of strife and banality. 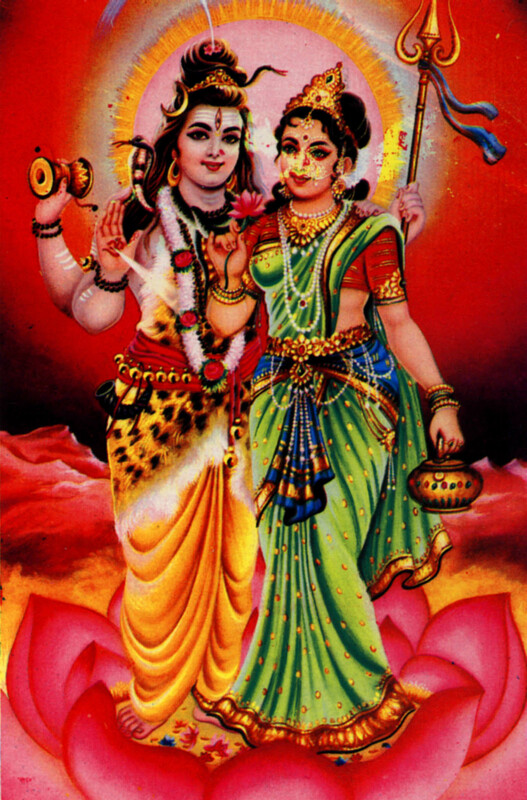 If one sets aside, for the moment, the idea of Shiva as a male entity, and sees him instead as representing a state beyond human suffering, then Parvati becomes symbolic of the aspirant who wishes to achievenirvana, and the story becomes something considerably more than a quaint romantic tale. The acharyas (scholastic saints), who wrote the Puranas, may have interpreted Parvati’s asceticism as a means of winning Shiva’s hand in marriage, in order to discourage young girls from following the goddess’s example and becoming renunciates. In modern day Hinduism the marriage aspect of this story has been inflated in importance, but the most compelling picture we are left with is Parvati as an ascetic. actually i tried to search earlier but all the other websites have unnecessary things in their article. so u noe.. i really liked it !!! जय हो पार्वती माता की !! जय ! !